BP Machine LCD Mercury Free is also known as sphygmomanometer, blood pressure meter, blood pressure monitor, or blood pressure gauge. BP Machine Mercury Free is a manual device with LCD Display. BP Machine Mercury Free has mechanical manometer to measure the pressure. 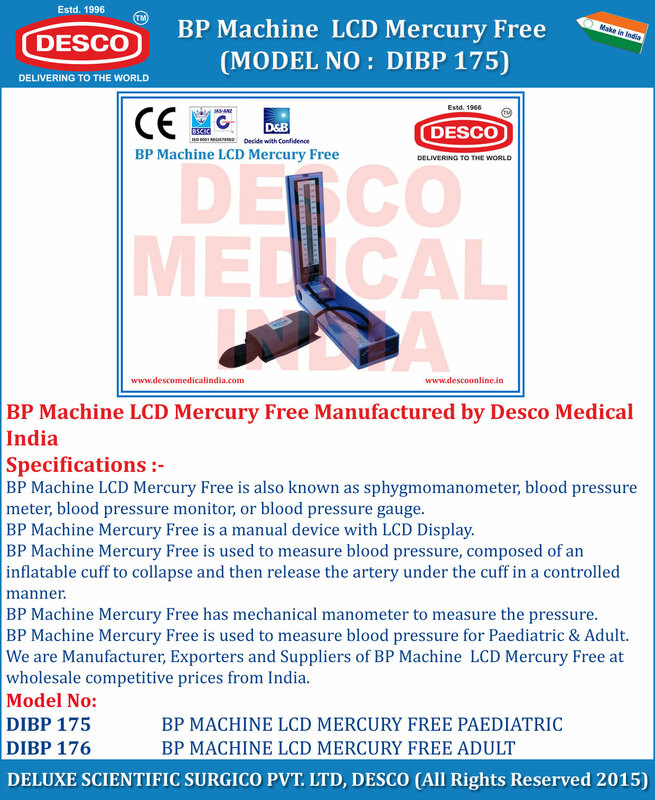 BP Machine Mercury Free is used to measure blood pressure for Paediatric & Adult. We are Manufacturer, Exporters and Suppliers of BP Machine LCD Mercury Free at wholesale competitive prices from India.